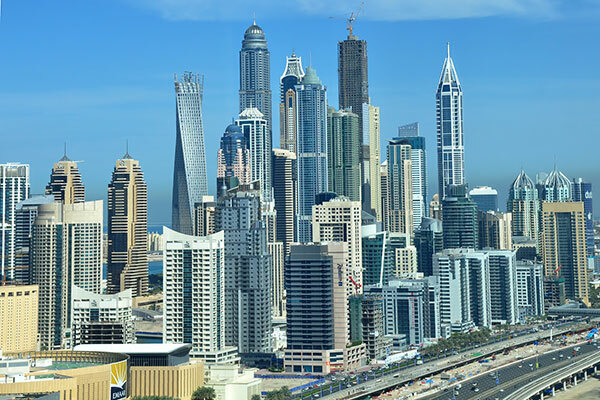 A majority of businesses in Dubai foresee accelerated economic growth during the first quarter (Q1) of 2019, according to the quarterly survey conducted by the Department of Economic Development (DED) to gather the performance expectations and economic outlook of the local business community. The survey, conducted during the final quarter of 2018, showed 59 per cent of companies as optimistic about economic growth in Q1 2019, compared to 41 per cent for the same period of 2018, and a 34 per cent expecting stability while those expecting any decline in growth decreased from 8 per cent to 7 per cent, reported state news agency Wam. Sustained public spending on infrastructure and social development, initiatives to increase of ease of business, and a brighter outlook on sales and profits have all contributed to businesses in Dubai welcoming the New Year with improved confidence. Large companies and the manufacturing sector as a whole foresee seasonal tourist footfall and the Expo 2020 as well as varied projects aimed to accelerate innovation, industry and exports as part of the Dubai Plan 2021, driving demand during Q1 2019. The final quarter of 2018 saw the Composite Business Confidence Index (BCI) improving year-on-year and quarter-to-quarter driven by expectations of improved returns across all parameters – new purchase orders, volumes, revenues, and profits. The BCI score reached 126.2 in the last quarter of 2018, up 10.2 points from 116 points in Q4 2017, and 7.7 points from 118.5 in Q3 2018. Projections for revenues show a year-on-year and quarter-on-quarter increase, with the net balance increasing from 26 per cent for Q1 2018 and 42 per cent for Q4 2018 to 52 per cent for Q1 2019. Meanwhile, the net balance for volumes has also increased to 47 per cent for Q1 2019 from 22 per cent for Q1 2018, and 34 per cent for Q4 2018. Companies anticipating increase in volumes constituted 58 per cent while another 31 per cent expected no change. The manufacturing sector is most confident across the following parameters: revenues, volumes, hiring, profits and new purchase orders. Manufacturing firms are also more optimistic about their plans to expand capacity in Q4 2018 - 52 per cent, compared to 47 per cent of trading firms and 45 per cent of services companies. Meanwhile, technology upgrades are in the pipeline for 42 per cent of the manufacturing firms, as compared to 35 per cent of services firms and 27 per cent trading firms. The services sector is most optimistic about selling prices and within the sector, the hospitality segment which includes services related to travel and car rentals, is most optimistic about higher volumes for Q1 2019 with a net balance of 70 per cent based on higher seasonal demand and new customers. In the trading sector, the computers and electronics segment is most optimistic about volumes during Q1 2019, supported by increased demand from new and existing customers. Large companies maintain stronger projections for Q1, 2019 as compared to SMEs with Composite BCI scores of 131.2 and 118.8 points, respectively. Large companies have highlighted a more optimistic forecast than SMEs for most parameters. Competition remains the primary challenge for Dubai firms, as cited by 46 per cent of the respondents, followed by delay in payments/receivables (34 per cent) and demand/market conditions (26 per cent). However, 11 per cent do not expect any negative factors to hinder their business operations.